Indiana Pet Fence is a proud supplier of Pet Stop® dog fencing systems and products. 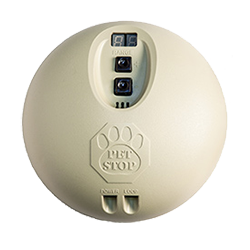 We have chosen to exclusively provide Pet Stop® products because they’re the most humane, advanced and effective on the market! Keeping your dog happy and safe is our #1 priority and it’s what we do best! That’s why we choose to exclusively provide Pet Stop® products. Only Pet Stop® provides the most gentle and humane dog fence training program. GentleSteps ensures that your pet learns their new boundary without any discomfort. For more information, click here. Larger than the UltraTuff Receiver®, the UltraMax Receiver® was designed for more determined dogs. Utilizing a highly efficient circuit, the UltraMax features a host of settings, including an adjustable correction that is the most effective in the business in keeping your pets safe and secure. 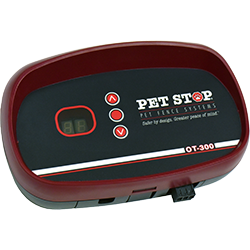 For thirty years the electronic pet fence has provided safety and security to millions of pets from trusted brands such as Pet Stop®, Invisible Fence®, PetSafe® and more. 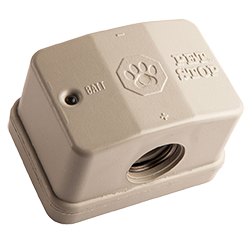 Now you can have confident control of your dog’s behavior at home or where ever you go. 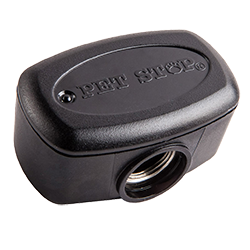 Experience the same peace of mind your pet fence provides away from home with the patented Pet Stop® Universal Trainer for your new or existing fencing system. 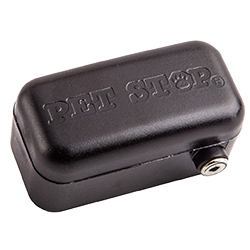 Like our receivers, Pet Stop® transmitters are on the cutting edge of technology. We’ve made customization and ease of use our priority. We want to give you the simplest ways to make sure your electronic fence system is up and running. Many people think of electronic dog fence systems as strictly an outdoor affair. But we have a solution when your pet is indoors as well. Using our same highly customizable system, you can specify those places in your home that are free-range and those that need to be pet-free. 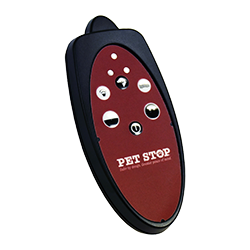 Pet Stop® offers both a wired and battery operated versions. 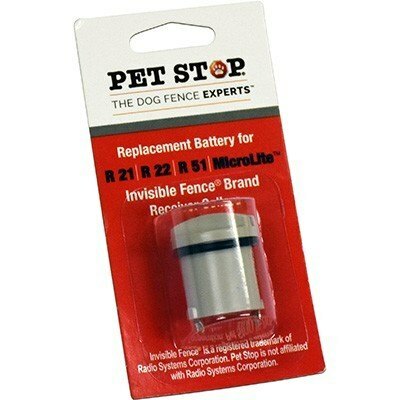 If you’re a current owner of an Invisible Fence® and are in need of a replacement receiver or batteries, we’ve got you covered. 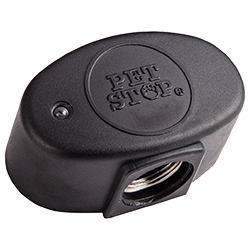 Our Pet Stop® brand Invisible Fence® compatible receivers and batteries actually exceed OEM standards and cost less. We also can provide independent support and would be happy to assist you with your Invisible Fence® system.